As if obnoxious passengers, horrible seats, and mountains of hidden fees weren't enough, a recent study published in Nature Climate Change points to a new factor that's ruining your air travel experience: global warming. How exactly does Al Gore's inconvenient truth affect your flight plans? Well, it all comes down to headwinds: increased carbon emissions lead to a warmer atmosphere, which in turn causes a headwind buildup at high altitudes, which ultimately slow down your plane. 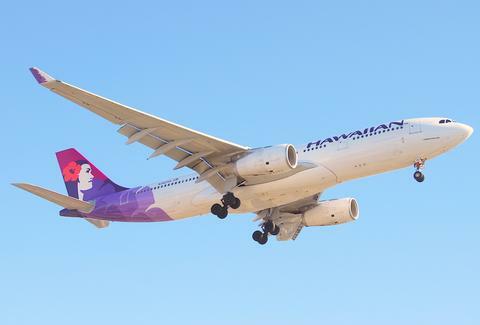 The study looked at 20 years of flight data between Honolulu and the west coast, finding that headwinds over the Pacific contributed to increased flight times for westward-bound flights, adding several additional minutes for every 10mph increase in wind speed. And while the opposite is true (eastbound planes have decreased flight times), it's still not enough to completely cancel out the longer westward flights. A few more minutes on a six-hour flight might not sound like much, but that added flight time means more fuel expenditure -- which, when you factor in all the planes making westbound flights over the Pacific each year, adds up to quite a pretty penny. Don't be surprised if ticket prices continue to rise as a result, even if jet fuel is relatively cheap right now. But wait, there's more! That increase in burnt fuel bumps up the atmospheric carbon emissions that caused the problem in the first place, leading to a vicious cycle that'll be hard to break as time goes on. Although the report only covered an admittedly small portion of the planet's overall air traffic, researchers announced plans to expand their study to encompass all flights in the US and Europe. No word on whether they'll be looking into the air travel ramifications of ManBearPig, though.